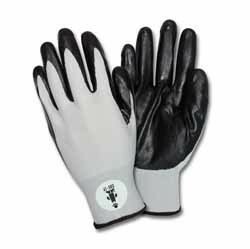 Coated knit gloves come in a variety of materials and are the most versatile form fitting industrial work gloves available. Palms and fingers are protected by a dipped coating made out of latex, nitrile or polyurethane. 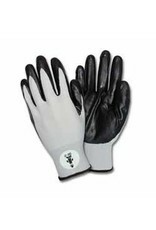 They are long lasting, have excellent dexterity and are available in large for the most comfortable fit.